Kurukshetra District Court Recruitment 2018 Notification has released. Interested & eligible candidates can apply offline. Official Notification will be available in the official @ www.districts.ecourts.gov.in website. Kurukshetra District Court Notification 2018 has announced to fill total 12 KDC Vacancies for peon post. For the sake of aspirants, we provide precise information about Kurukshetra District Court Recruitment 2018 in this article so contenders can easily get a brief idea about the recruitment process. Our team mentioned information by Officials such as Age limit, Eligibility criteria, the Selection process for Peon Post, Kurukshetra District Court Important dates, Steps to apply, Address of organisation, Important links. At the end of the article, we attached official notification to download. In this article, we give a brief idea about Kurukshetra District Court Recruitment 2018 for applicants. कुरुक्षेत्र जिला न्यायालय भर्ती 2018 has announced 12 vacancies of Peon post for a temporary basis. This post contains category wise vacancies, Important dates, age limit, Eligibility criteria, Selection process, Pay scale, apply procedure, Address of organization, Notification links to download so candidates can easily apply to follow this article. The Application form & official notification, we provide beneath a link to download. Interested candidates can apply for peon post before 20.08.2018 up to (5 p.m). Our team offers genuine information about Kurukshetra District Court Recruitment 2018. Initially, applicants can check the age limit, and qualification is suitable or not if it is suitable then only apply for this post. Eligible candidates should send Application form through offline. The application will not be accepted after the application closing date. The application should send beneath mentioned organization address. The incomplete or incorrect application should be rejected straight away without mention any reason so candidates should be filled carefully without any mistakes. Selection procedure for applied contenders go through the interview process. For applied candidates should possess Minimum age beyond is 18 years to Maximum age beyond is 42 years as on (01.01.2018). The candidate who are willing to apply Kurukshetra District Court Recruitment 2018 they need to check eligibility criteria. Qualification should be passed Middle standard examination and grab the knowledge of Hindi/ Punjabi or equivalent from established Institute for कुरुक्षेत्र जिला न्यायालय भर्ती 2018. Applied candidates will appear for interview in District Court of कुरुक्षेत्र. Date of interview will be notified in the official website. While attending the interview candidates should bring original certificate & identity proof. For Kurukshetra District Court Recruitment 2018 selected candidates Pay scale in between Rs 4,440/- to Rs 7,440/- and an additional Rs 1,650/- Grade Pay (DL). The inception date of Notification & Application form is 04.08.2018. Application closing date is 20.08.2018. so interested and eligible candidates can apply before 20th August 2018 (5 p.m). Interview date will notify soon on official website. Then check Recruitment for the post of Peon in the Kurukshetra Sessions Division as Title then click on PDF file to download official notification. Fill the required details in prescribed format of Application form. Applicants latest passport size photograph correctly attested, affixed on the application and one self-addressed envelope affixing there on a Rs 5/- stamp. Above mentioned documents & filled application form applicants should send register/speed post to the below-mentioned organization Address without any postal delay. Top of Envelope should be mentioned post name as Peon. The Superintendent, Office of District and Sessions Judge, Kurukshetra (Haryana). We hope all applicants can get a brief idea about the process of Kurukshetra District Court Recruitment 2018. 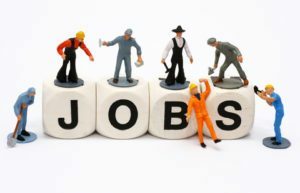 For any other updates about Jobs please visit regularly our website Sarkari Naukri.